Mark Evans was runner up in the BBC’s Eurovision Song search “Your Country Needs You” and has just finished playing Curly in a critically acclaimed tour of Oklahoma opposite Marti Webb as Aunt Eller. His theatre credits include Curly in the National tour of Oklahoma!, Brad Majors in The Rocky Horror Show (UK Tour), Troy Bolton in High School Musical(Hammersmith Apollo), Understudy Fiyero and Ensemble in Wicked (Apollo Victoria Theatre), Monty Python's Spamalot (Palace Theatre) and Caleb in Seven Brides For Seven Brothers (UK Tour). 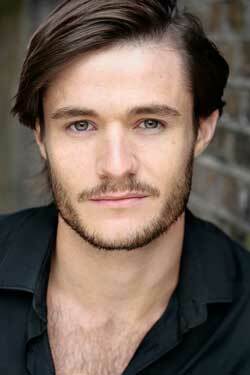 He is currently playing Elder Price in the US tour of The Book of Mormon.